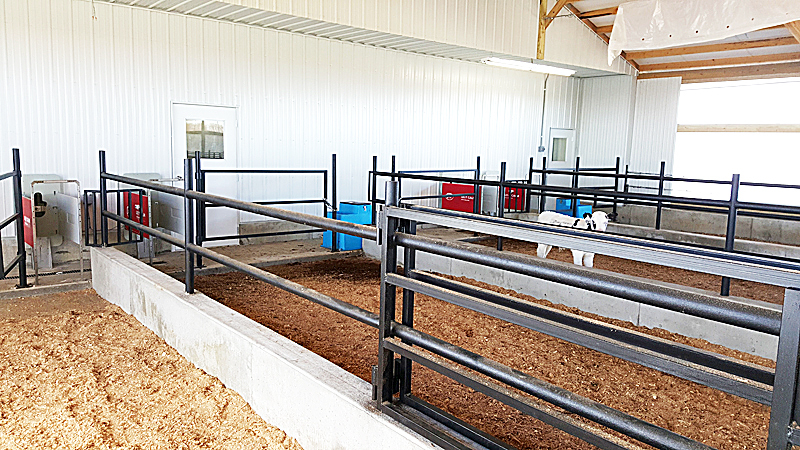 Check out our newest freestall barn. 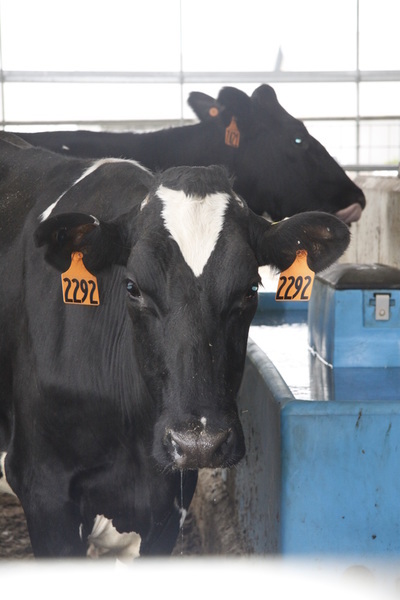 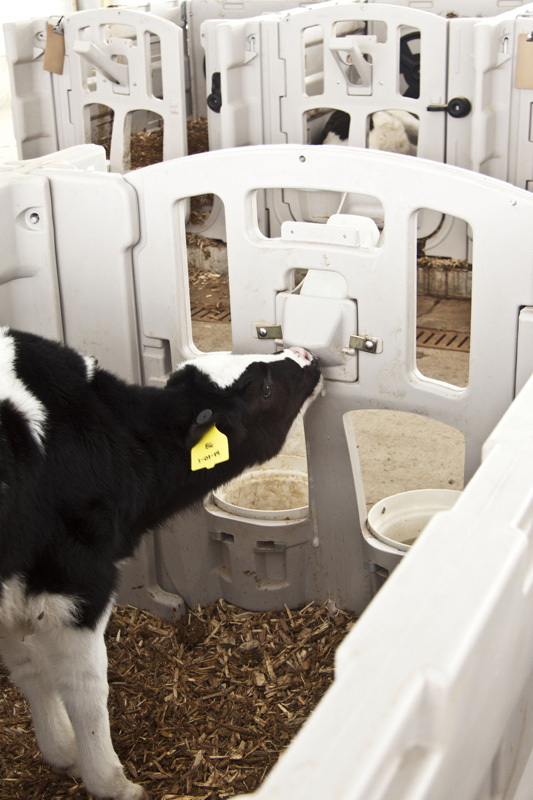 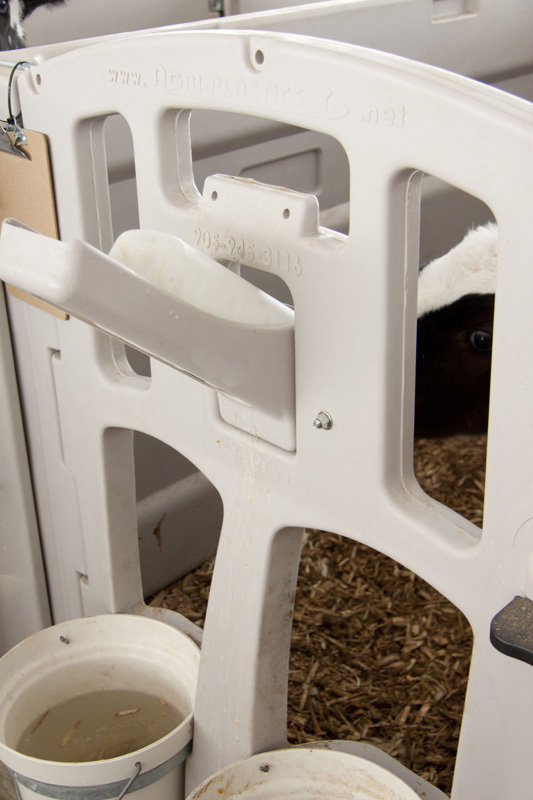 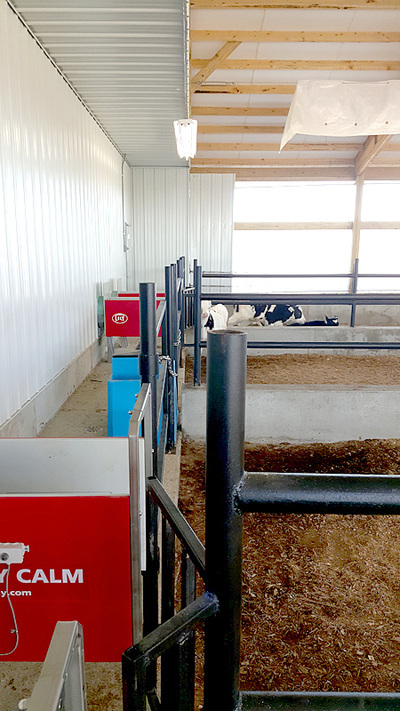 This setup includes five robotic milkers to reduce labor and stress on the animals. 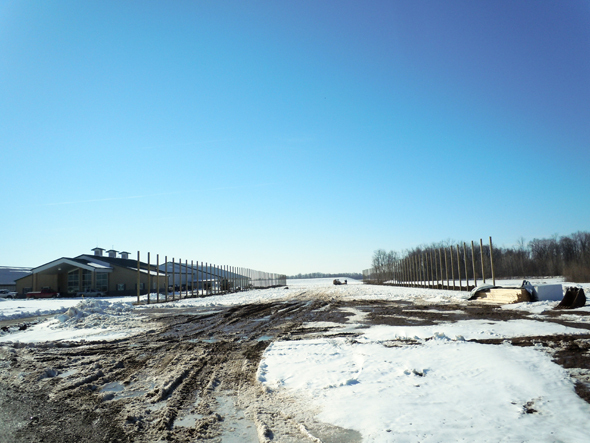 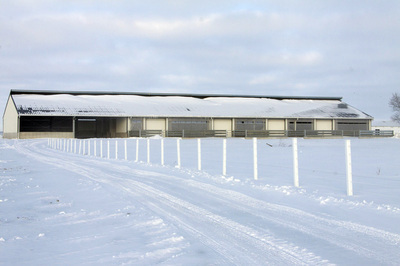 The freestall barn will be home for 300 cows. 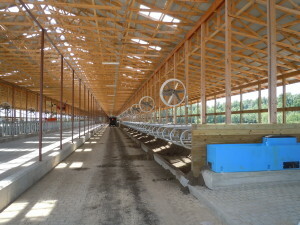 It is a 4 row, wood frame, Lester Building System. 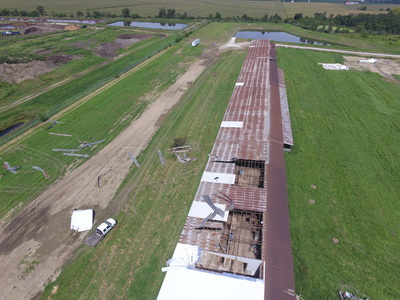 The interior and exterior of this parlor suffered severe damage from a passing storm. 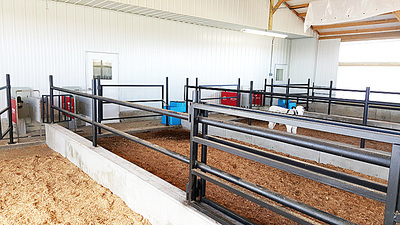 Wagler & Associates revamped and restructured the parlor. 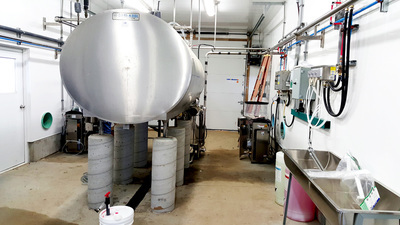 It is now back in working order. 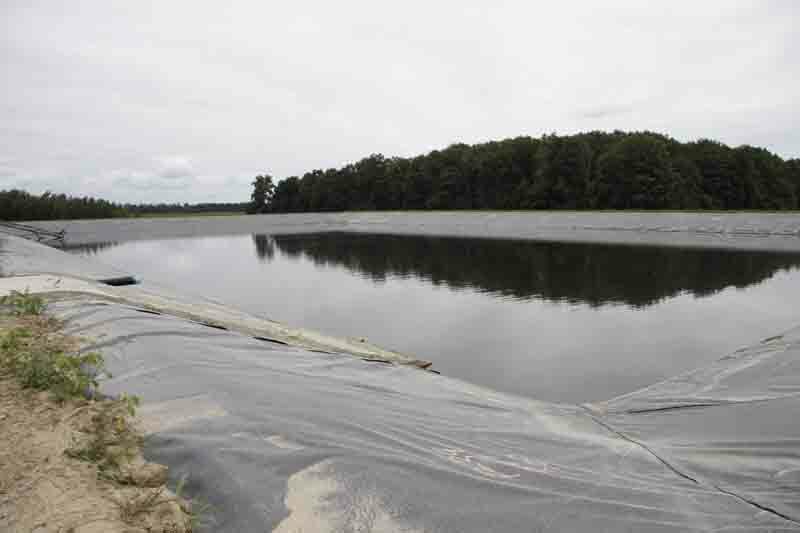 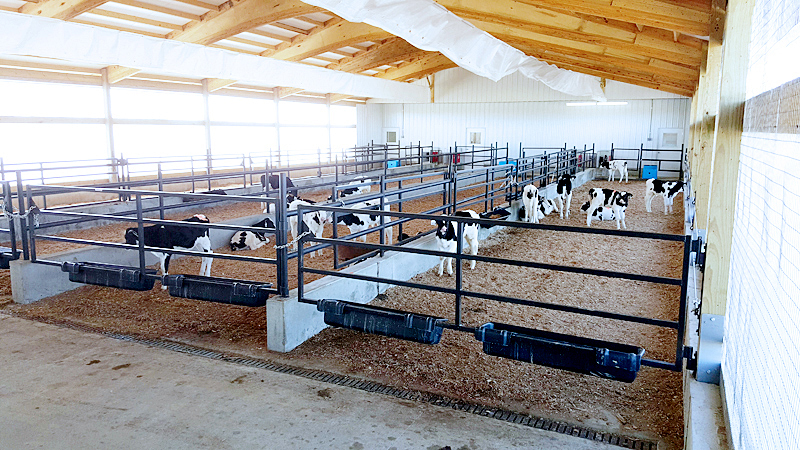 Wagler & Associates transformed the original sand bedded freestalls to an upgraded waterbed system. Section by section we broke and removed concrete curbs and scrape alleys. 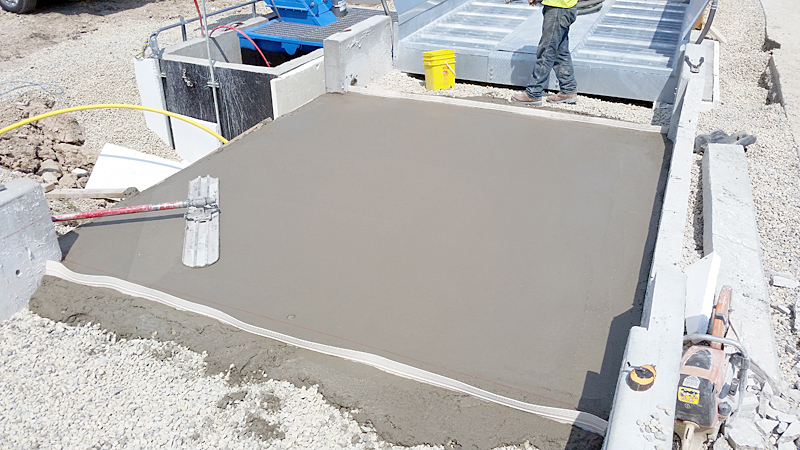 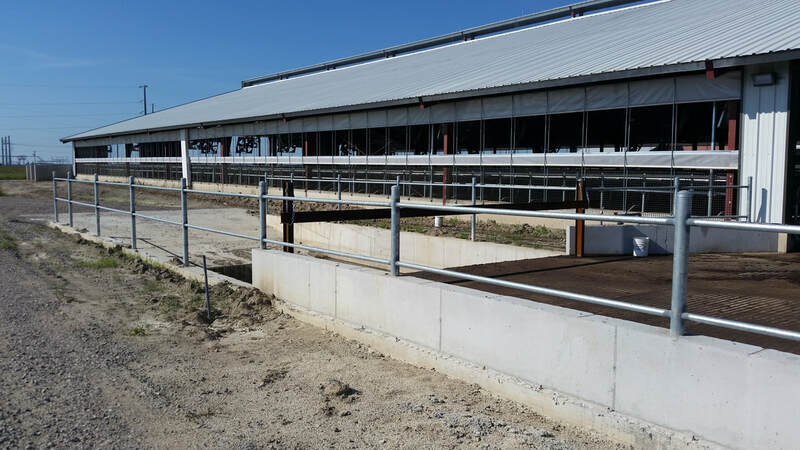 Wagler & Associates then poured new pads for the freestalls and installed waterbeds. 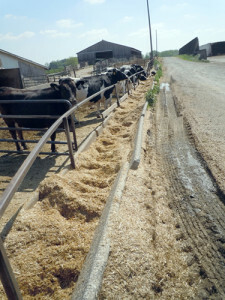 All while the farmer kept his operation moving smoothly. 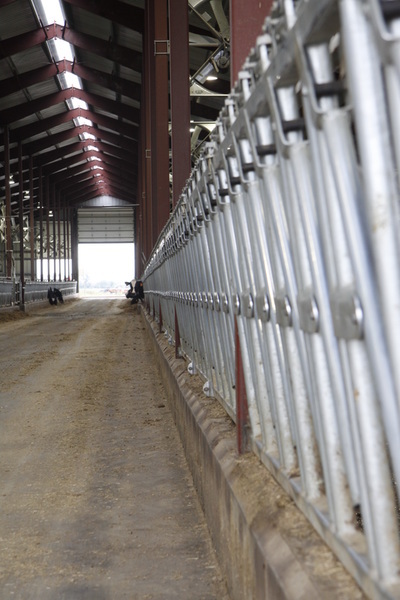 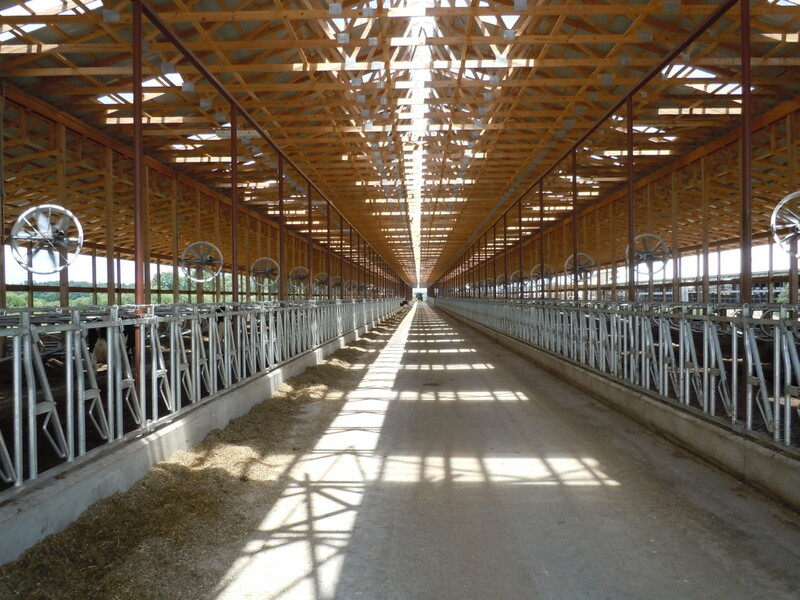 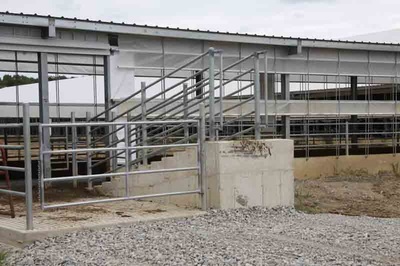 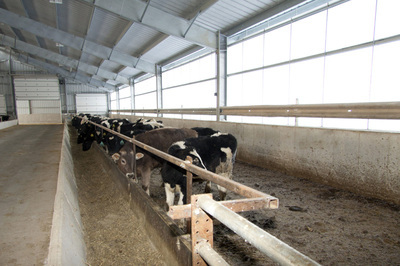 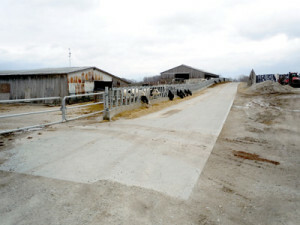 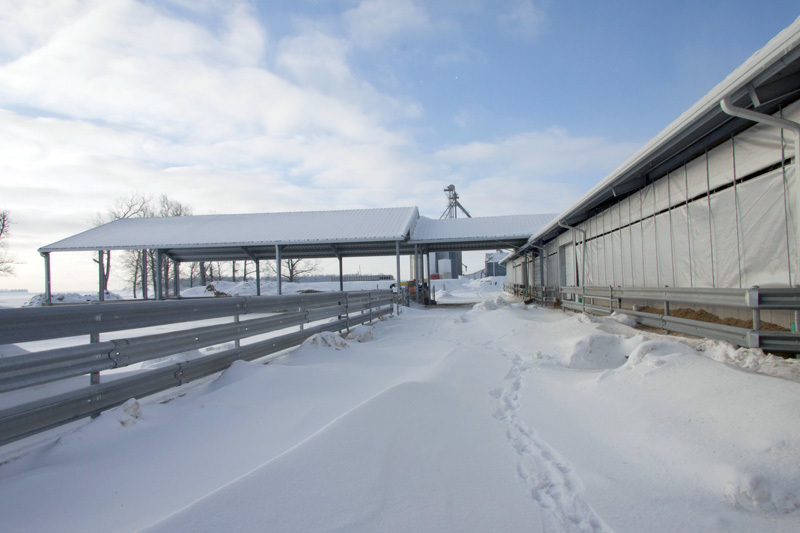 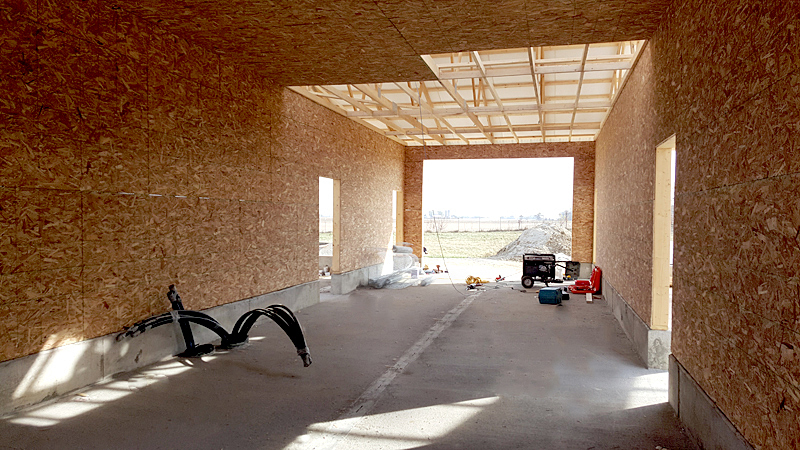 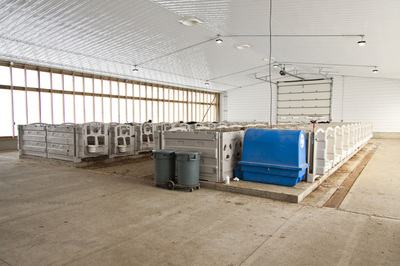 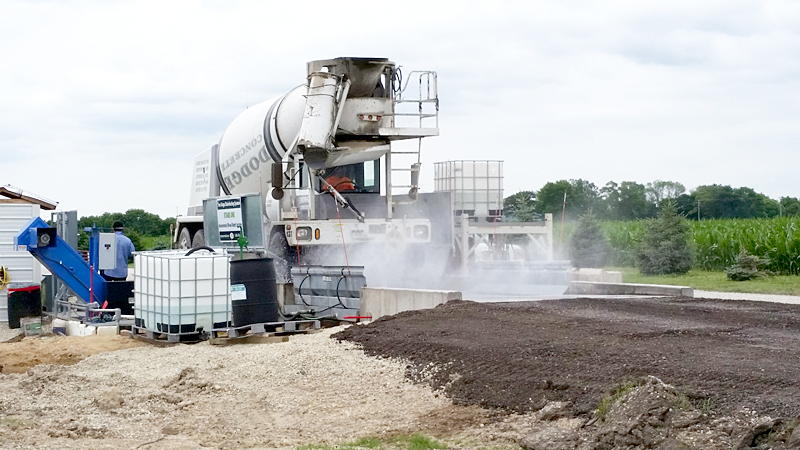 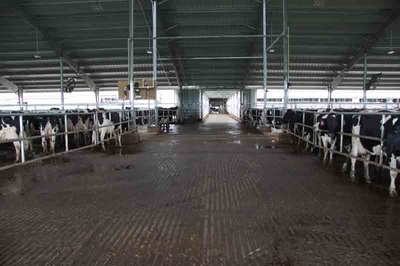 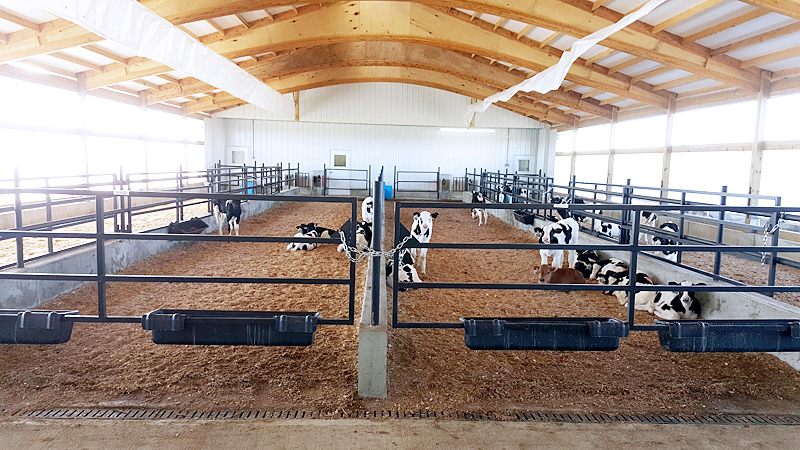 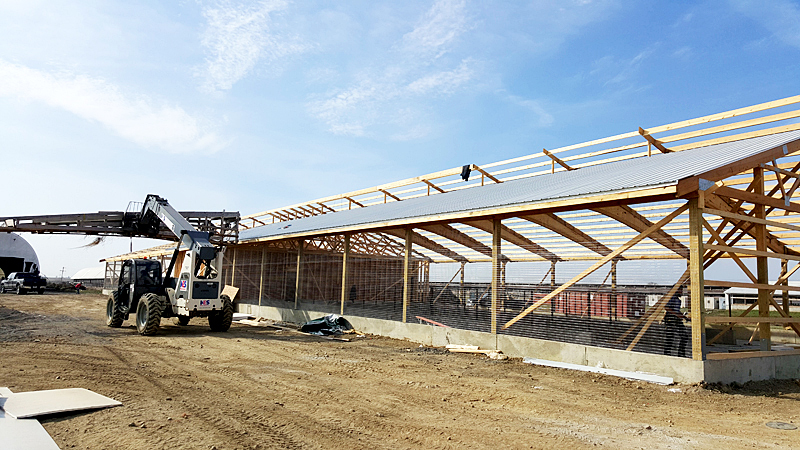 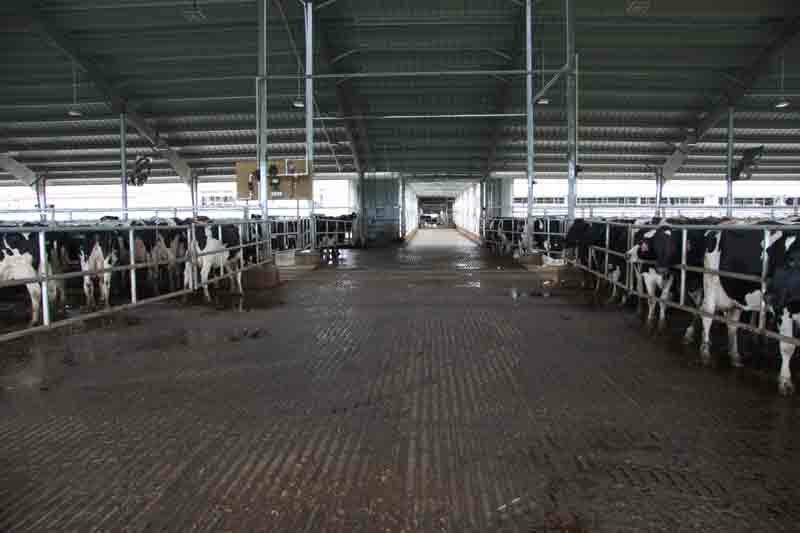 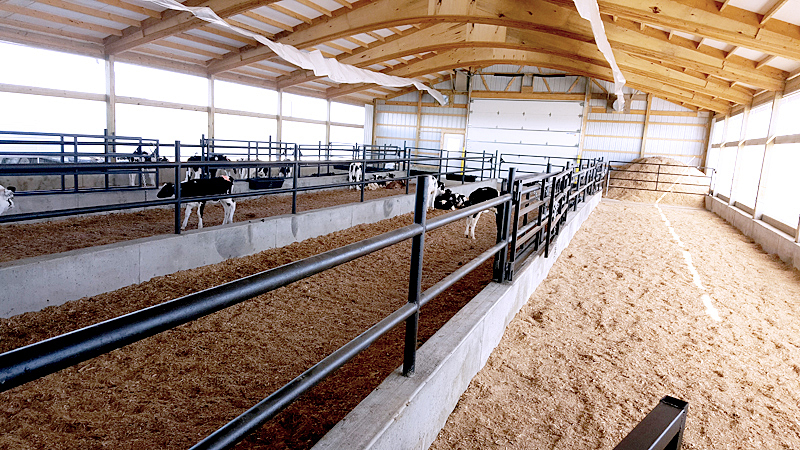 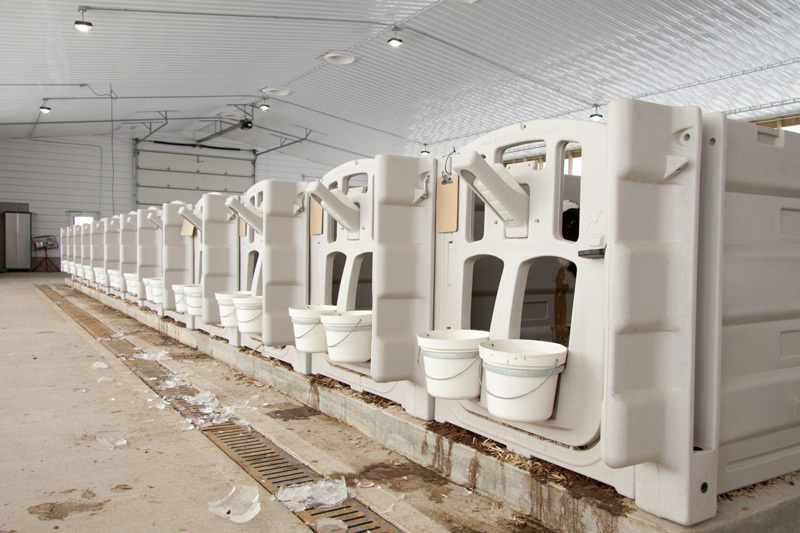 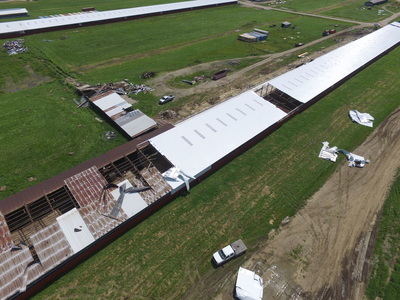 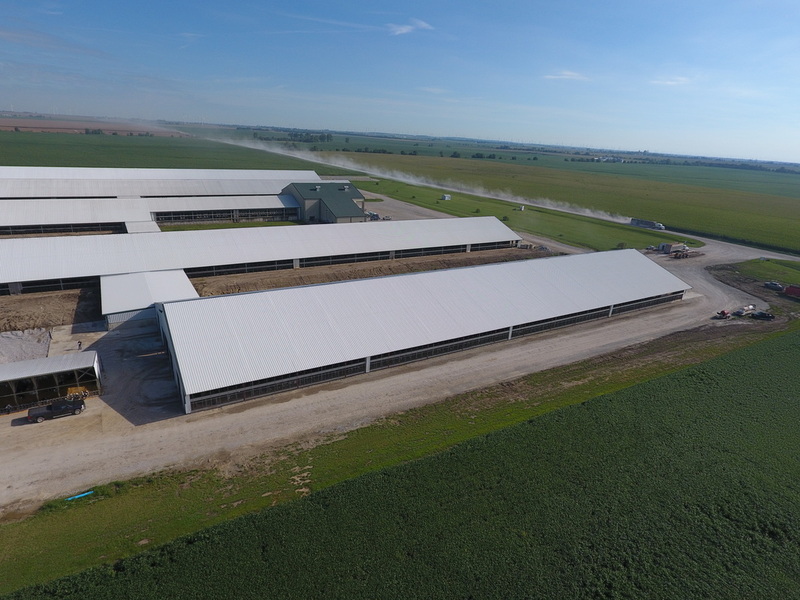 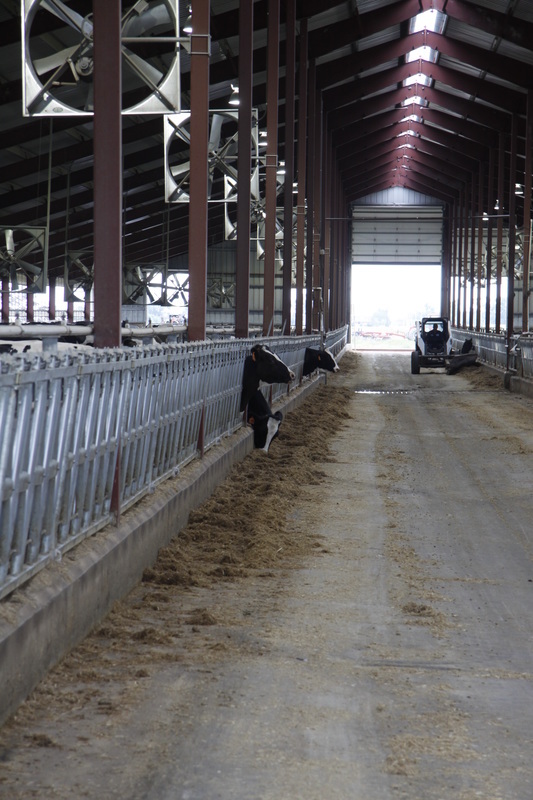 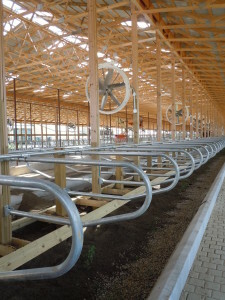 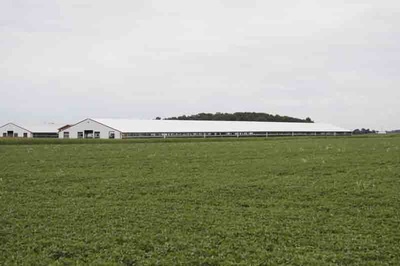 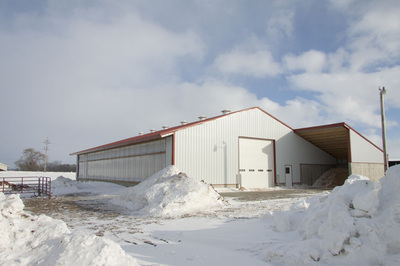 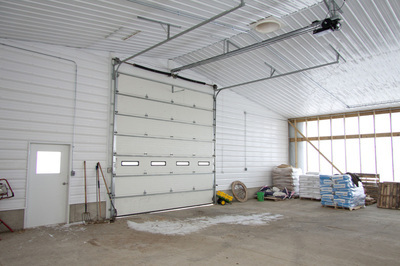 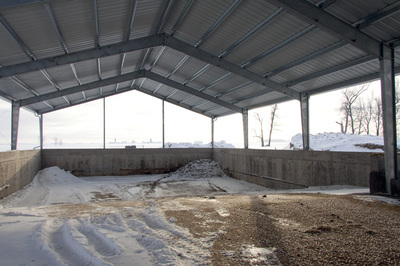 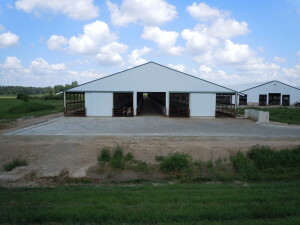 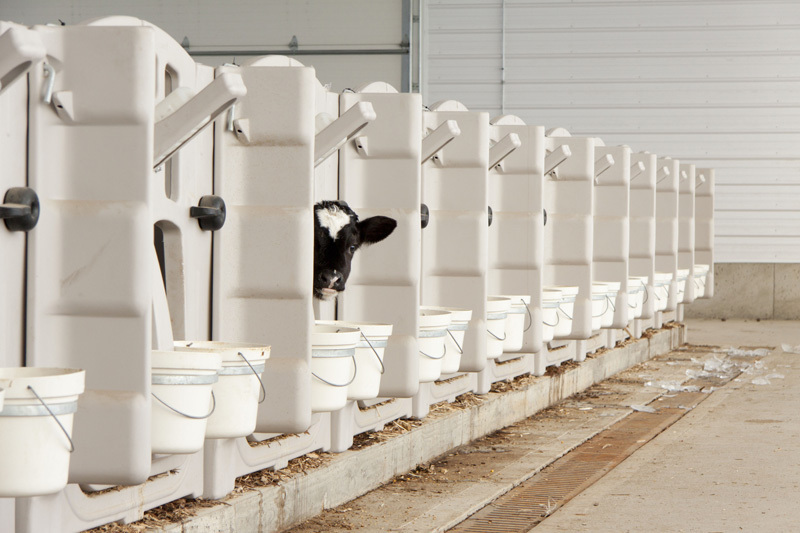 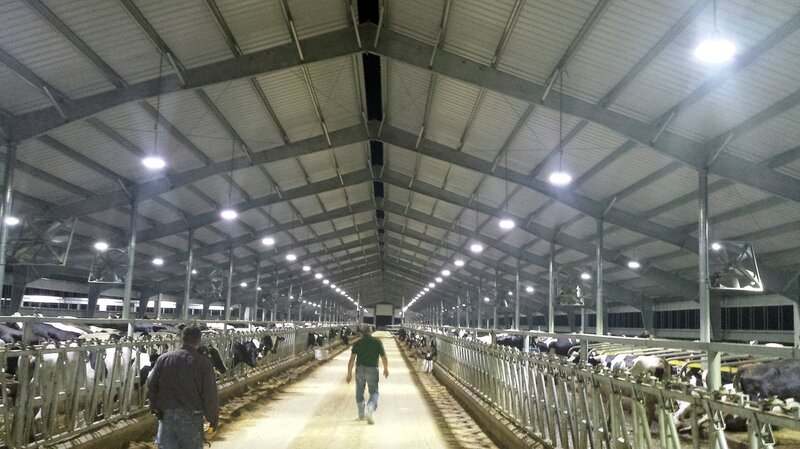 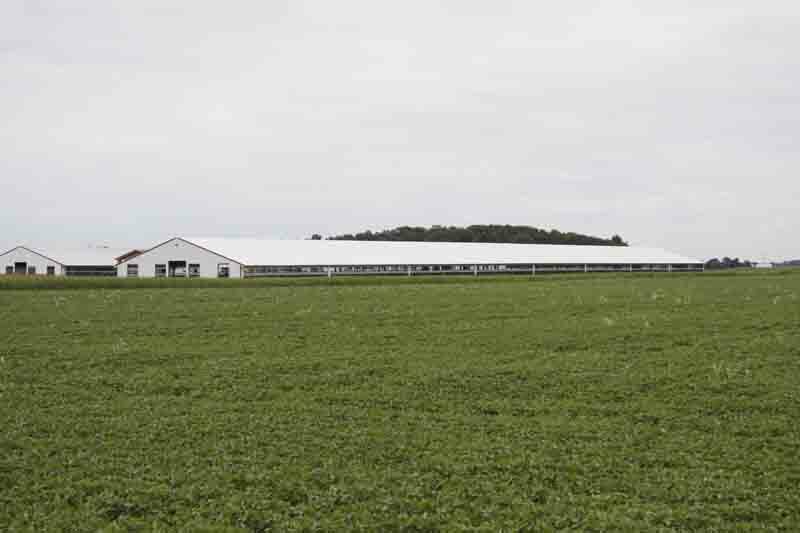 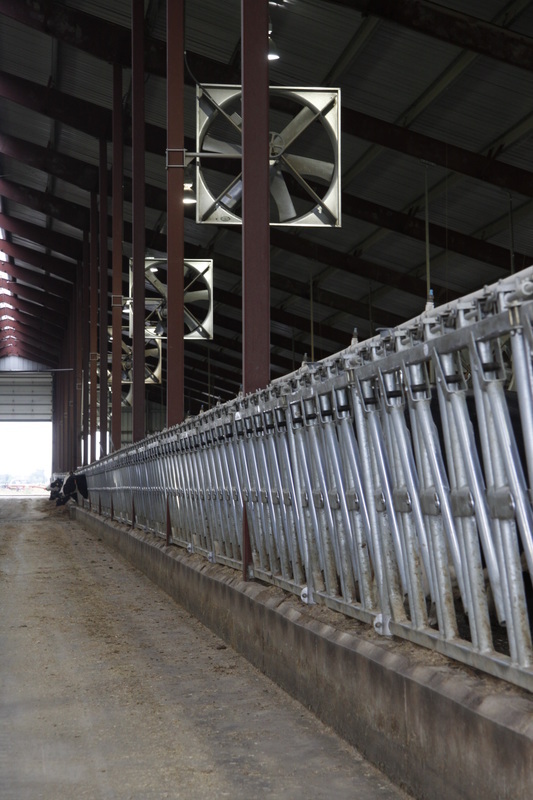 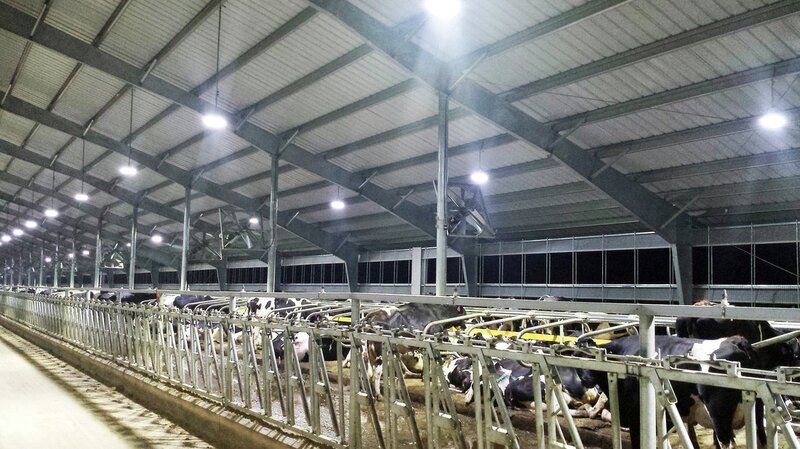 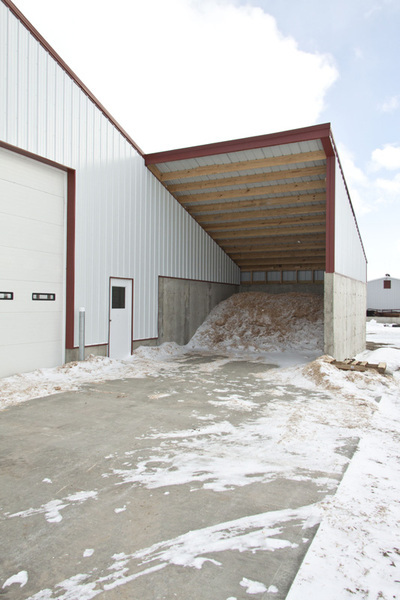 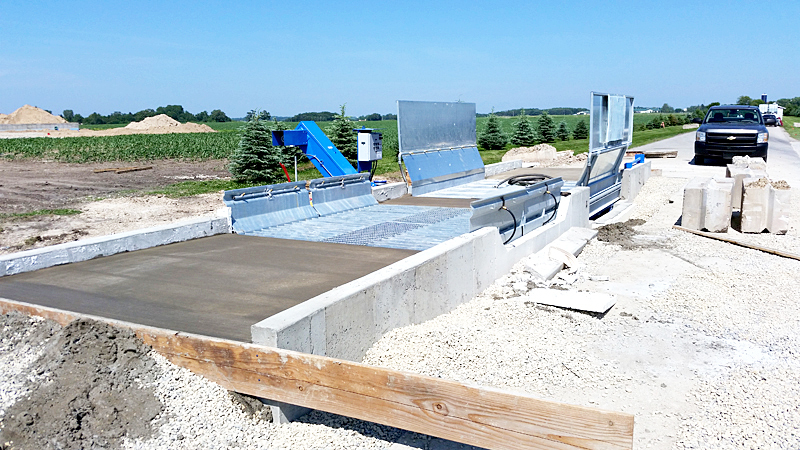 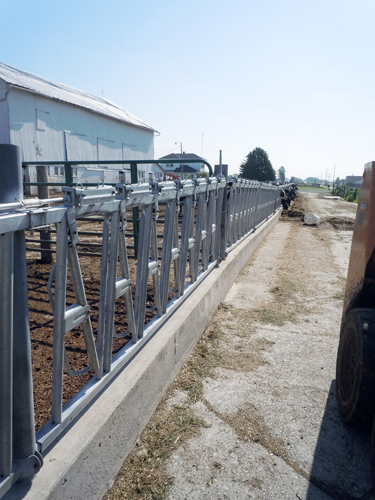 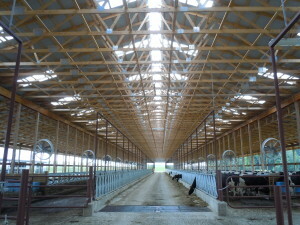 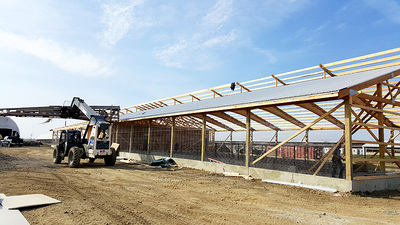 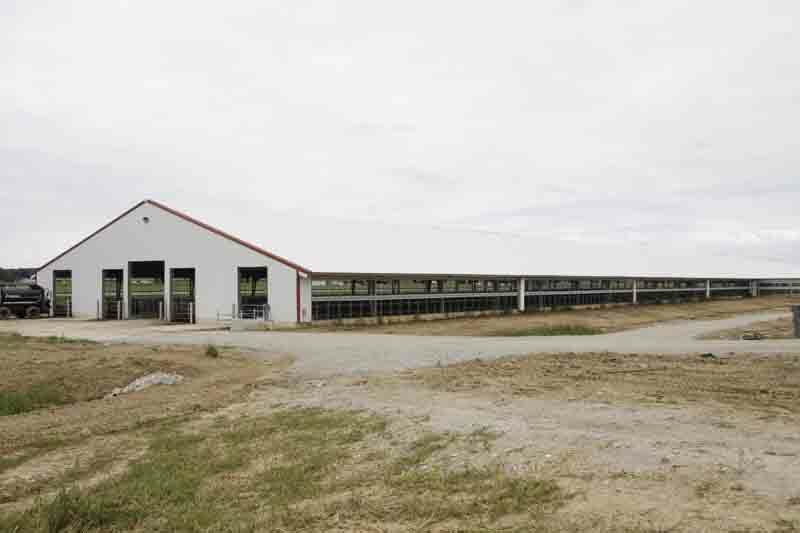 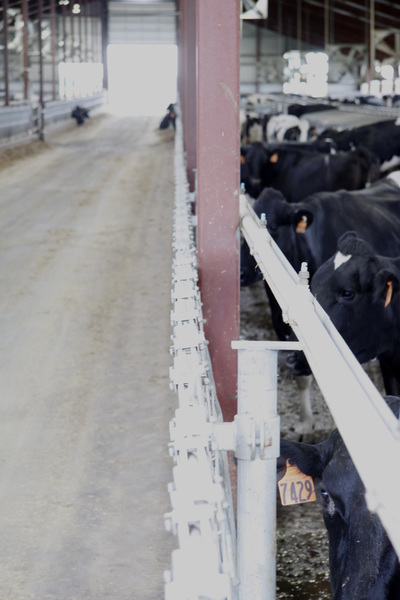 Wagler & Associates constructed a freestall and corridor expansion at dairy’s existing farm setup. 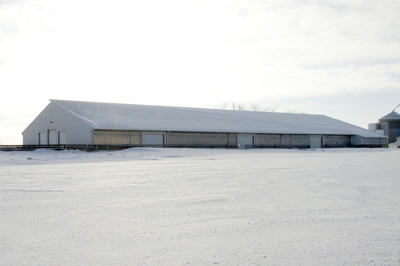 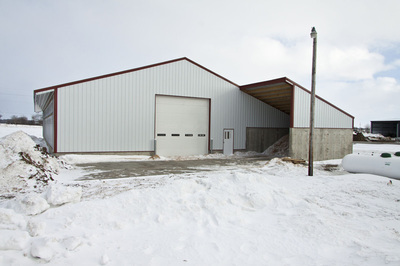 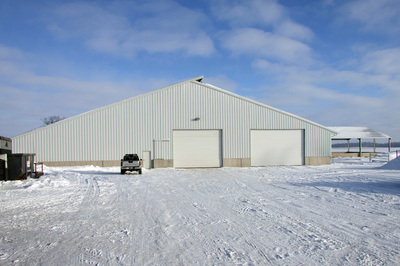 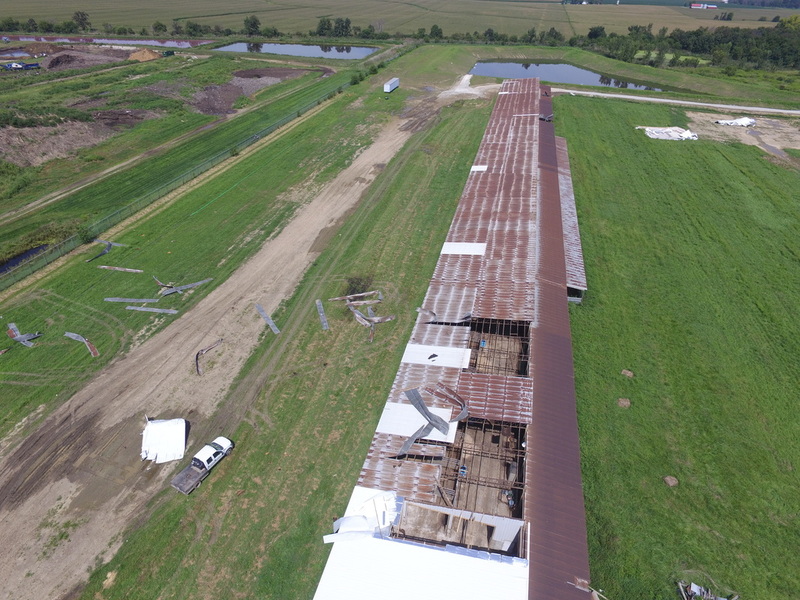 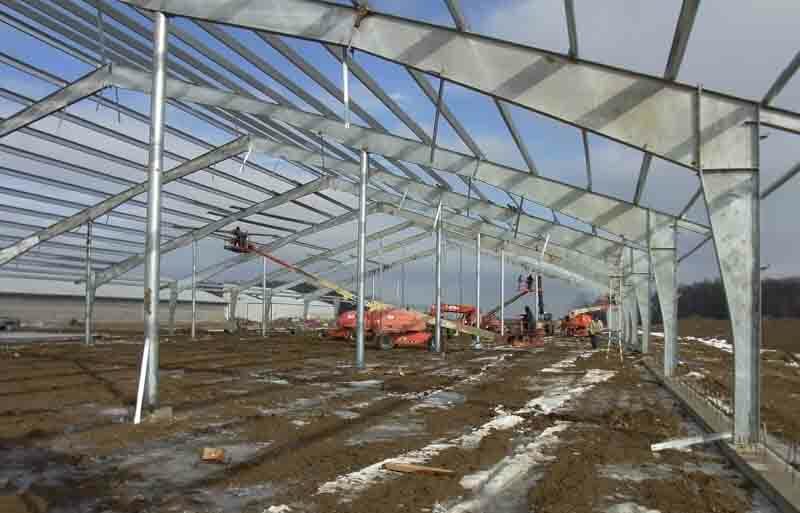 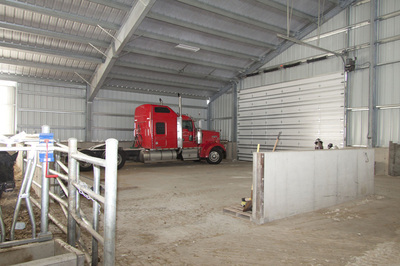 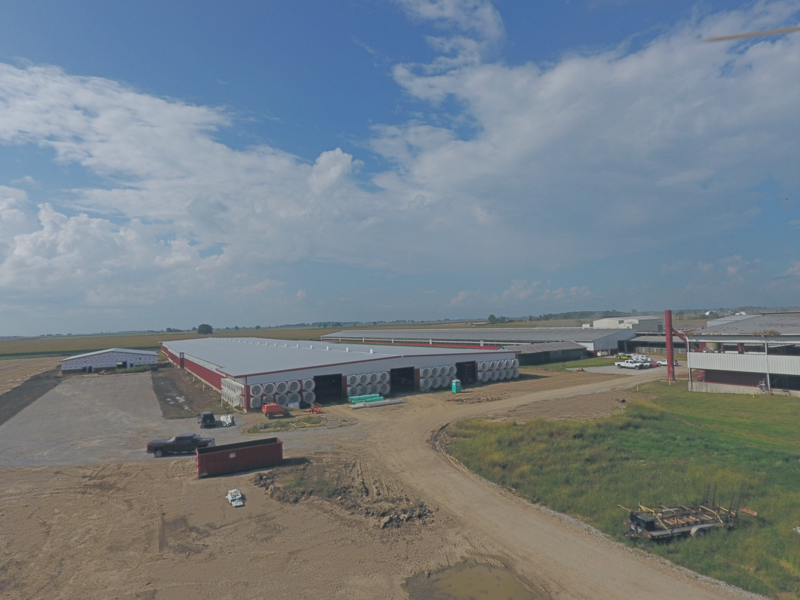 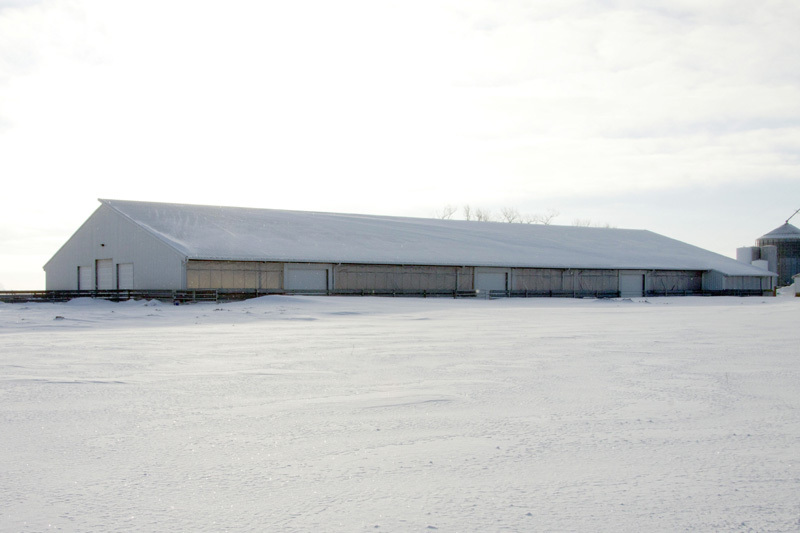 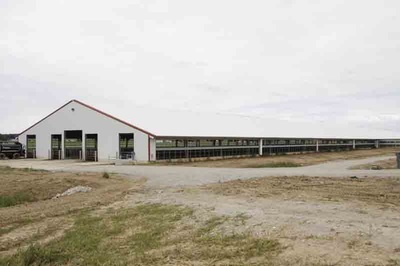 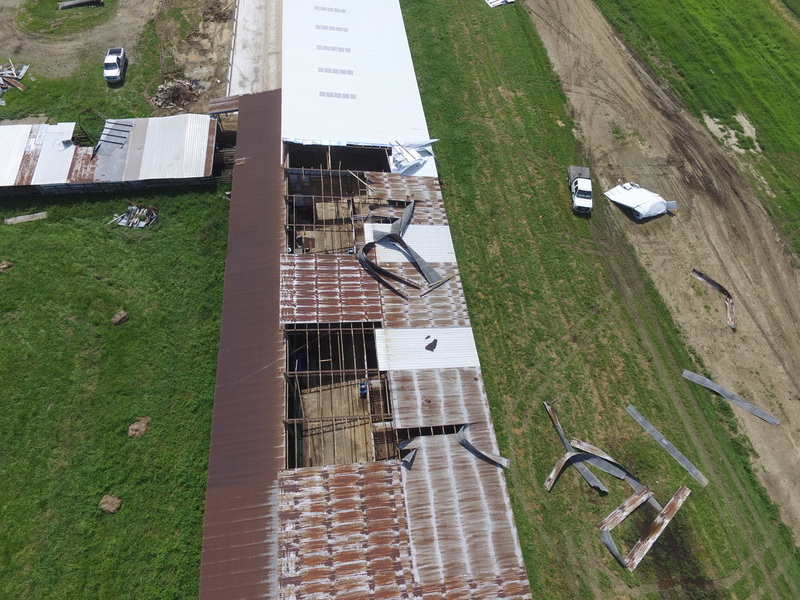 The project included a 111’ x 867’ galvanized steel 6 row freestall barn. 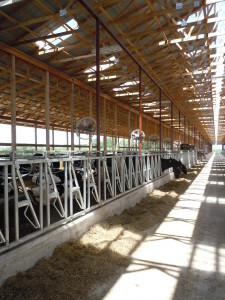 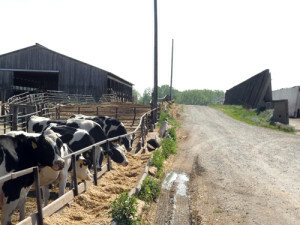 The barn allowed the farmer to add an additional 1,200 cows. It featured a vacuum scrape, waterbeds and daytime light simulation. 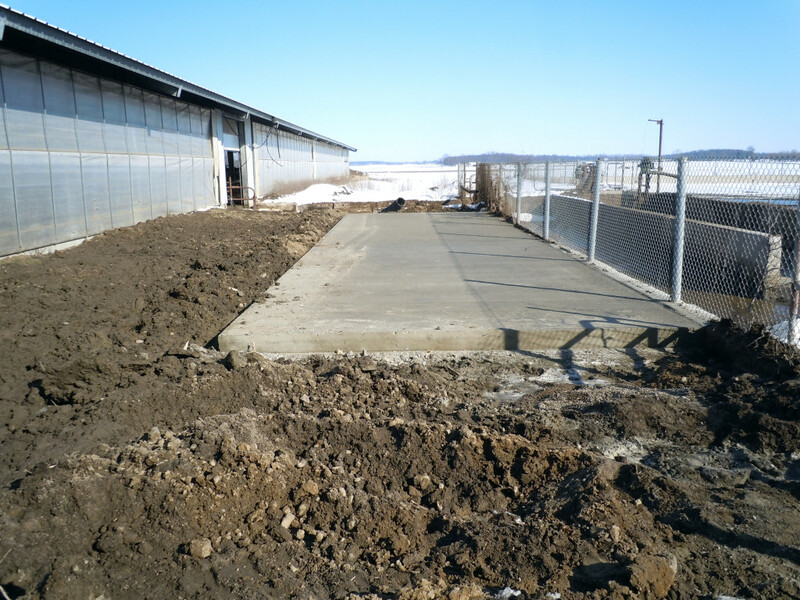 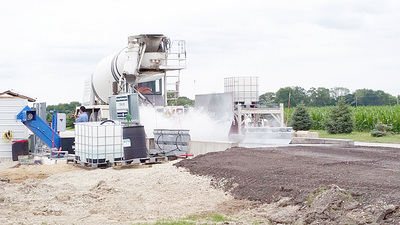 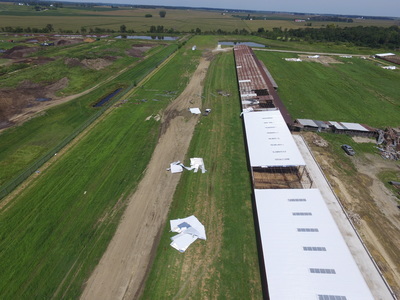 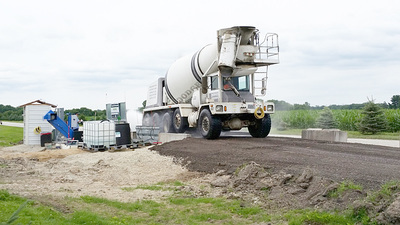 Wagler & Associates then added a new 120’ corridor to connect the existing facility to the new. 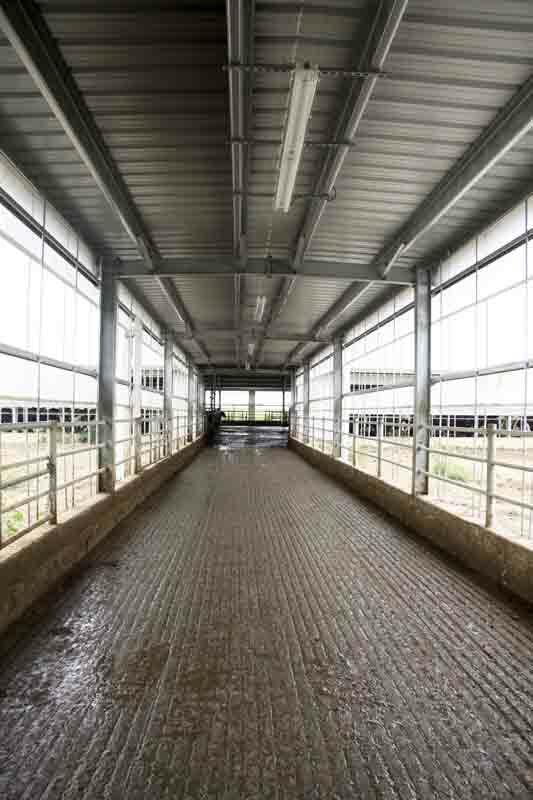 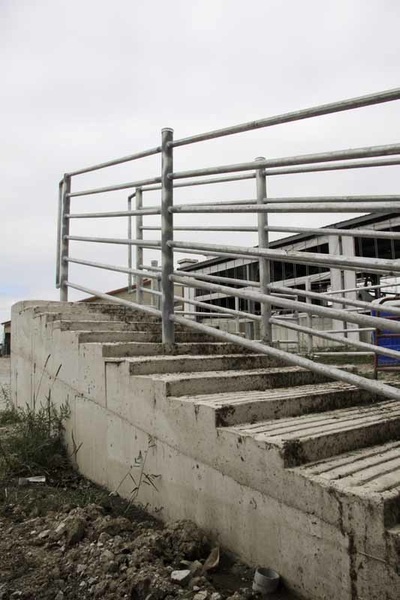 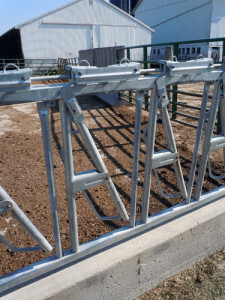 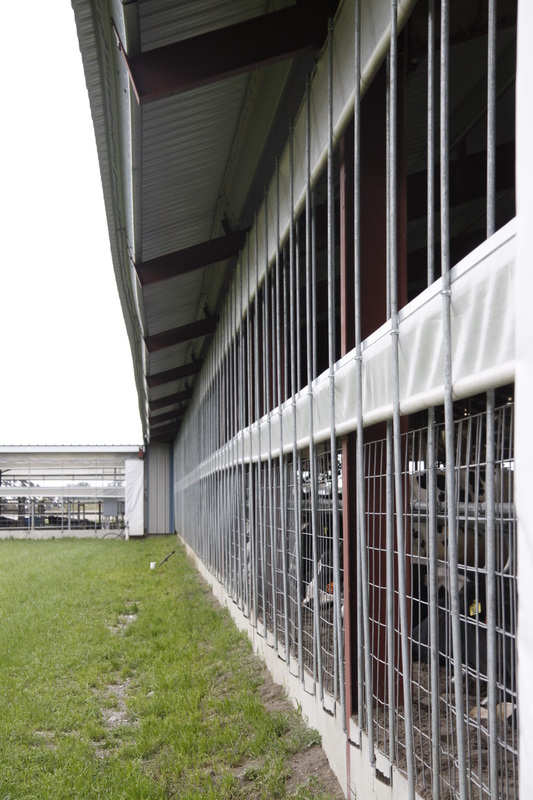 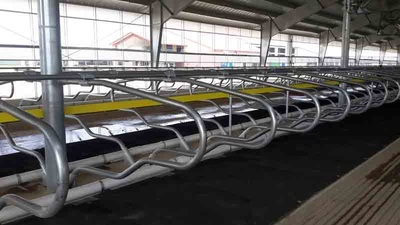 The corridor includes a loading ramp and gate setup to smoothly load and unload cattle. 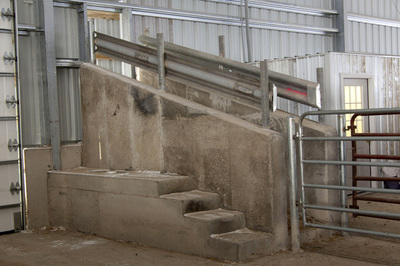 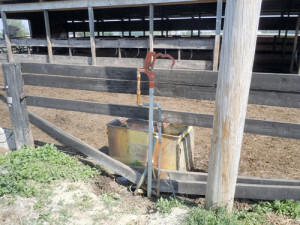 It incorporates and extended step to allow the farmer room to step next to the cattle as they enter and exit the area. 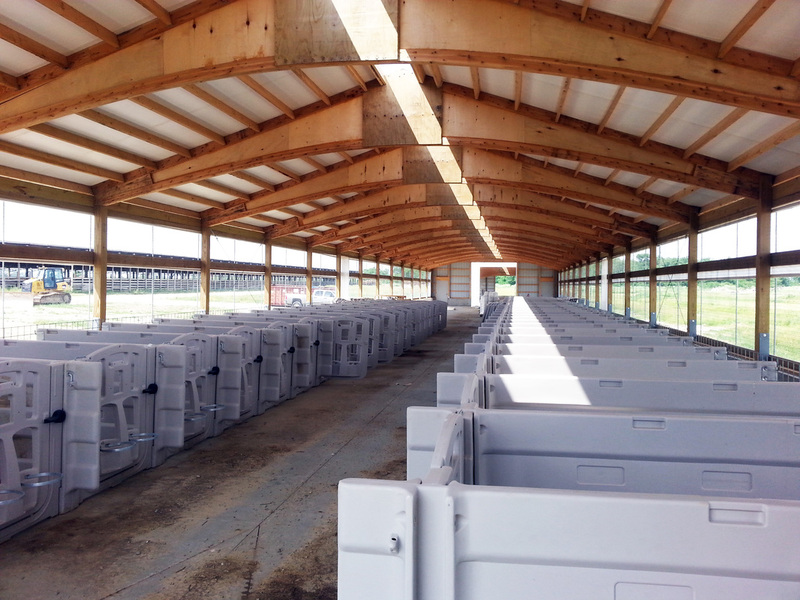 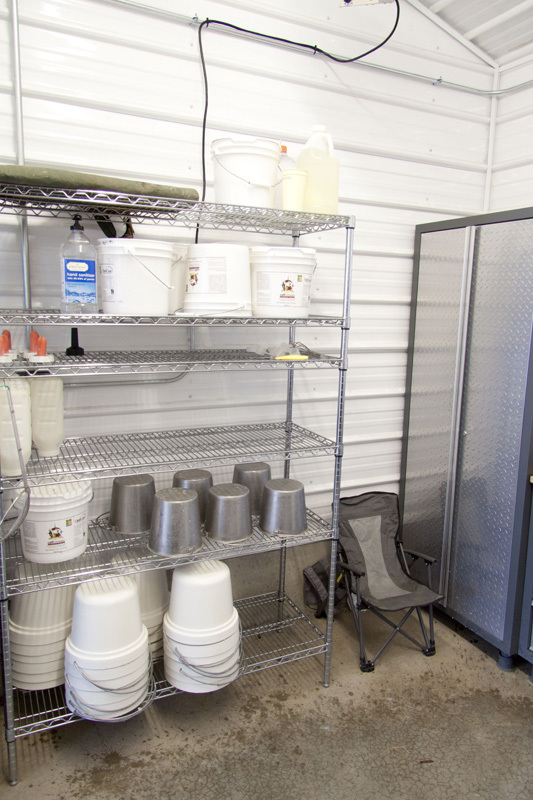 Biosecurity is very important to stop the spread of disease within poultry facilities. 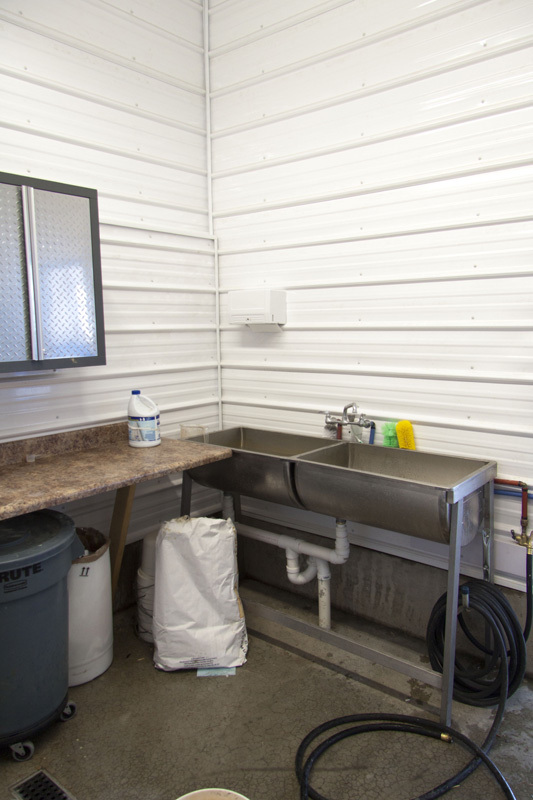 This truck disinfector is filled with an antibacterial solution to cleanse the wheels of vehicles entering and exiting the facility. 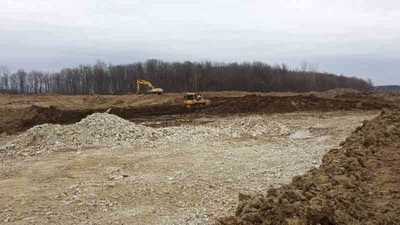 Construction of Pre-Engineered steel building, interior finishes and building concrete along with the excavation of the lagoon. 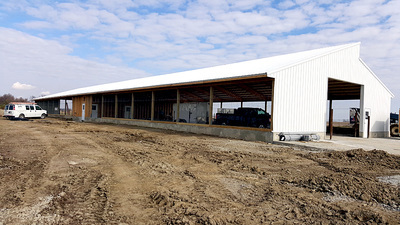 A large gambrel barn with a hey mow used to sit where this new barn was constructed. 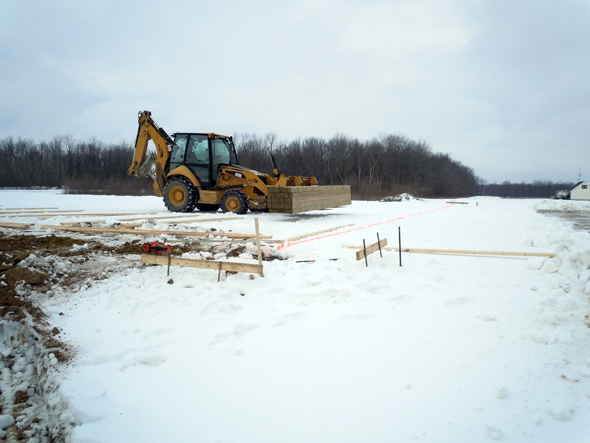 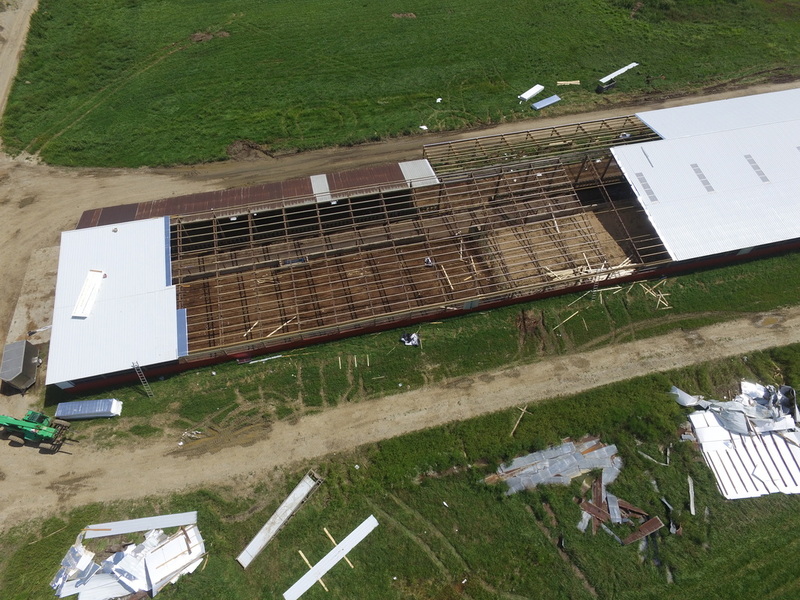 Once the old barn was taken down to the foundation the new PREMB (Pre-Engineered Metal Building) was erected. 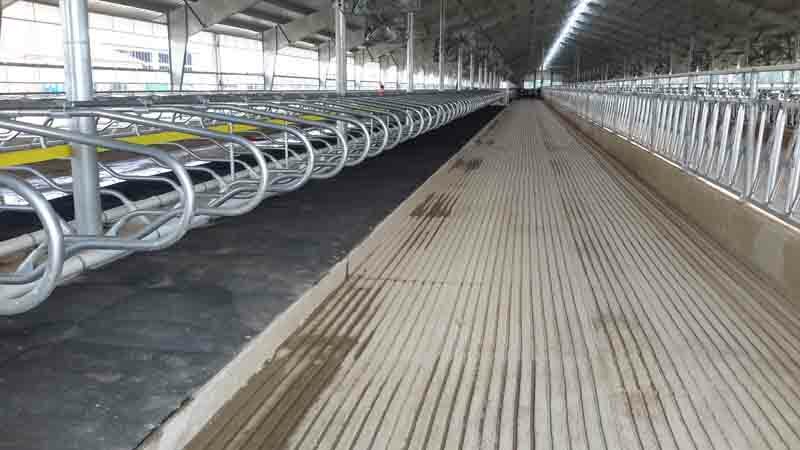 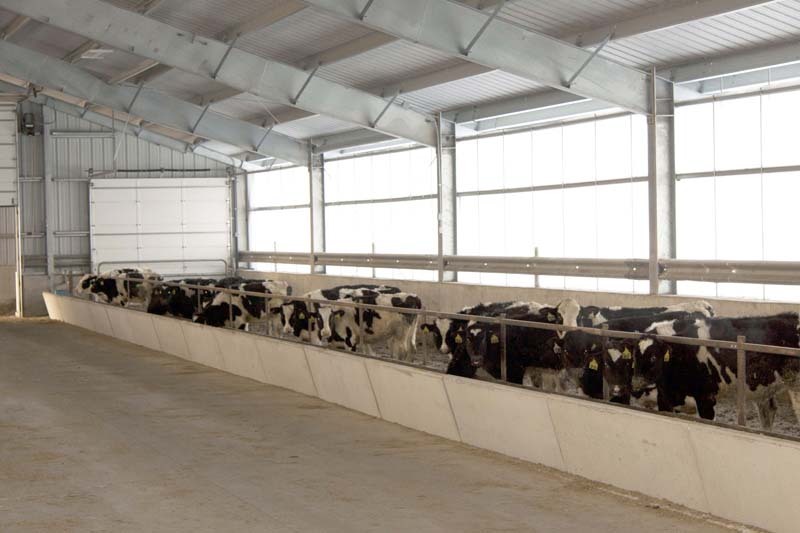 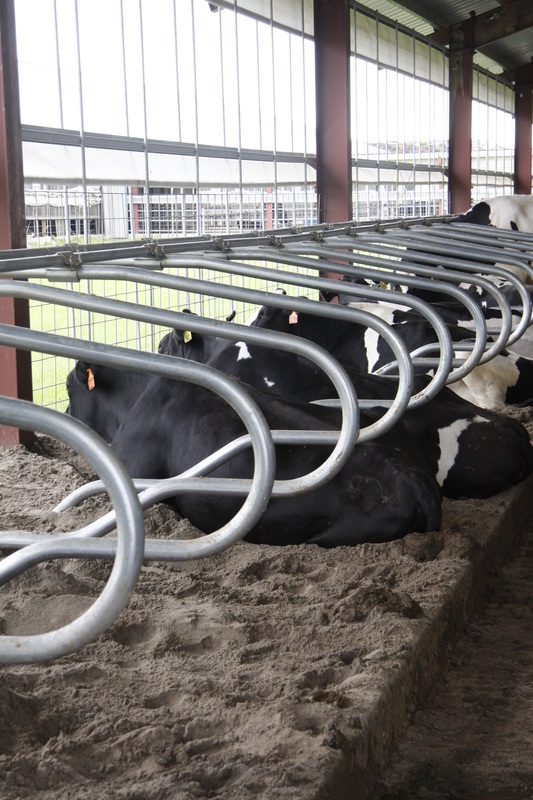 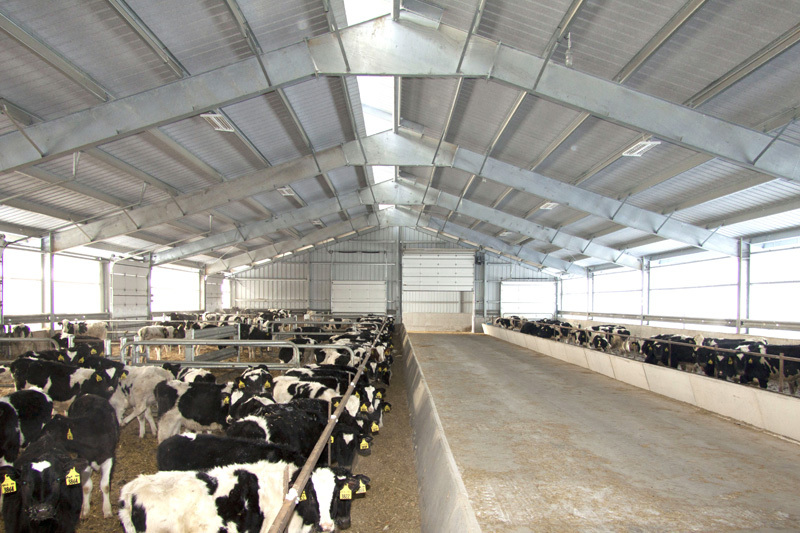 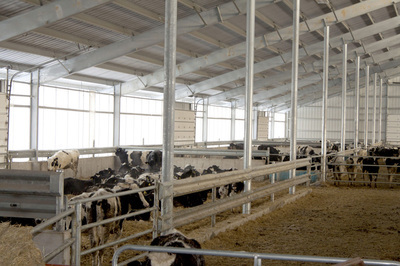 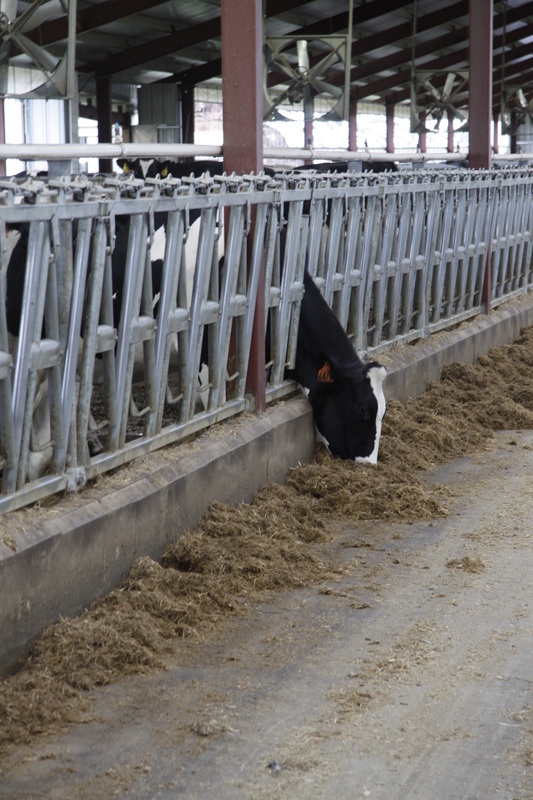 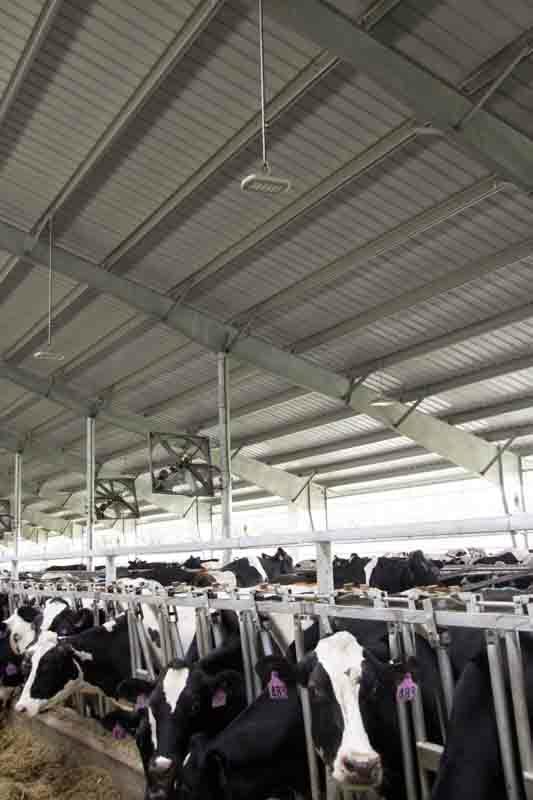 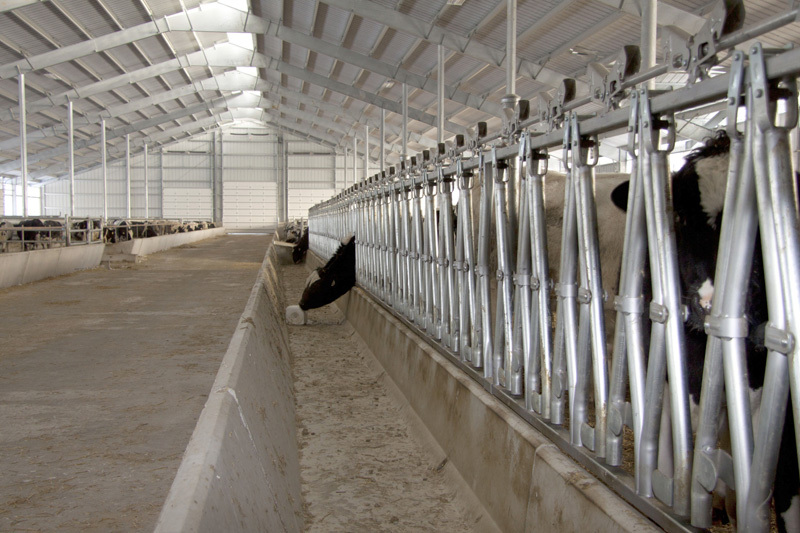 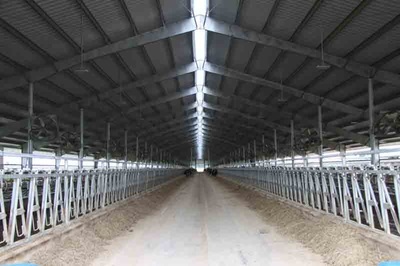 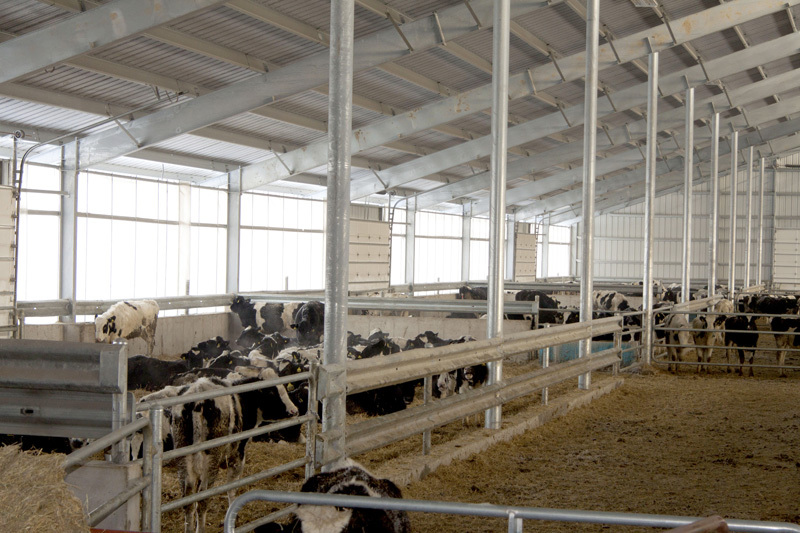 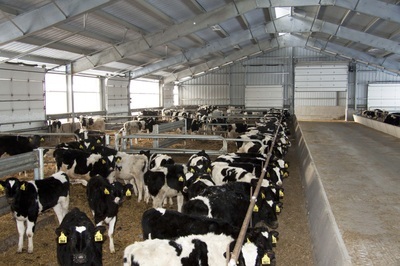 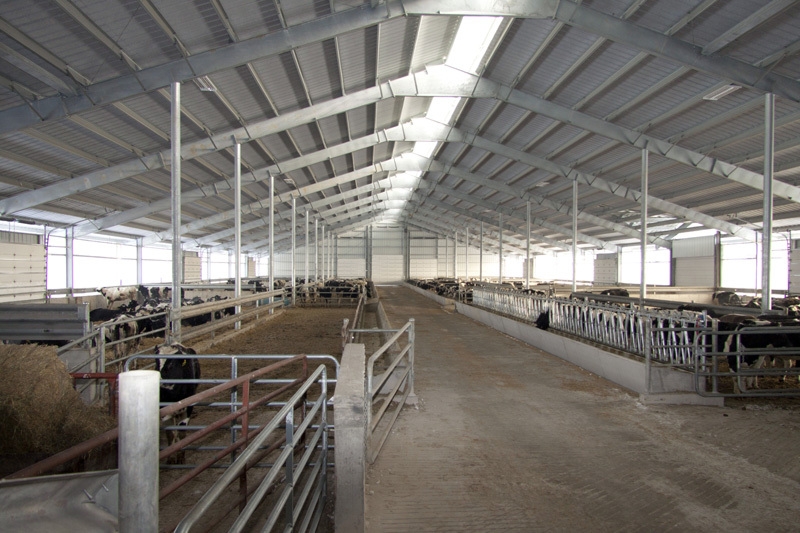 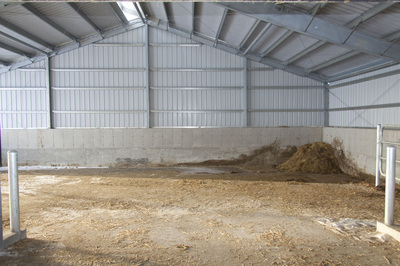 Cow comfort combined with ease of bedding and cleaning was the driving factor in the design of this project. 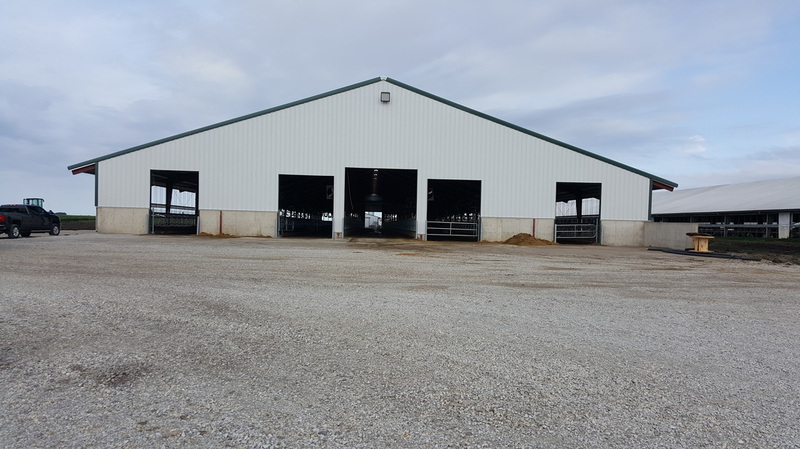 After many years of working with heifers in low ceiling, drafty, old barns, the owner now has the privilege in housing his animals in this new facility. The 37,000sqft building is enclosed by a curtain system that allows for controlled ventilation. 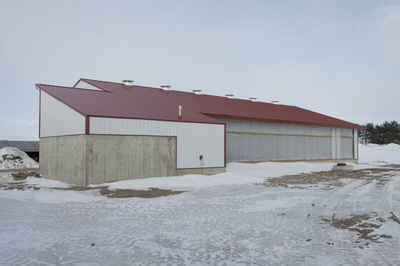 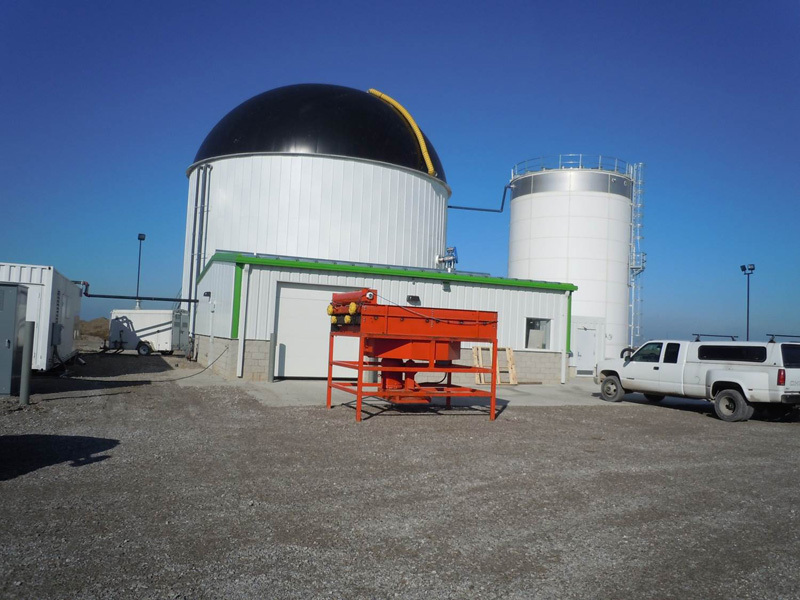 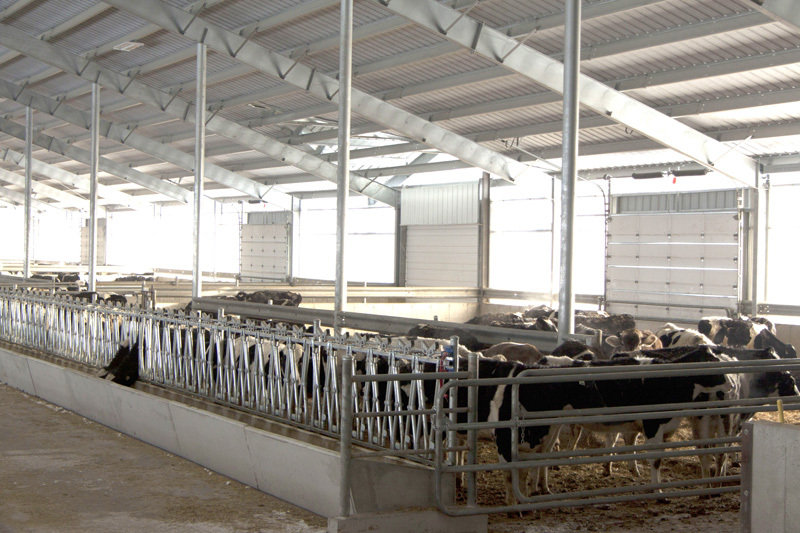 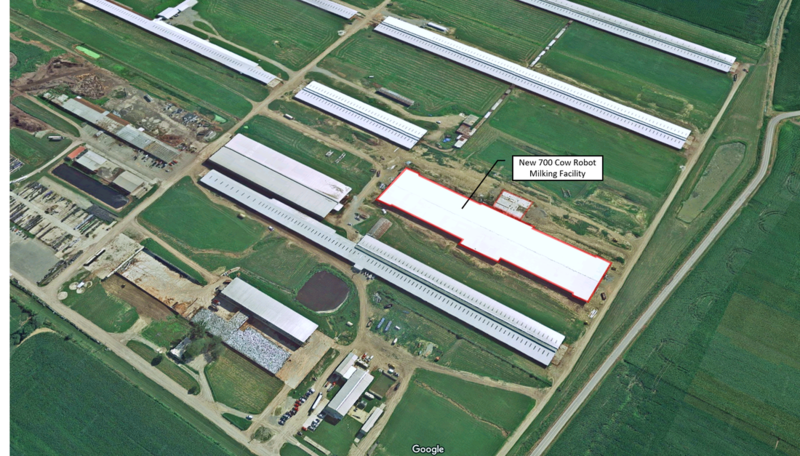 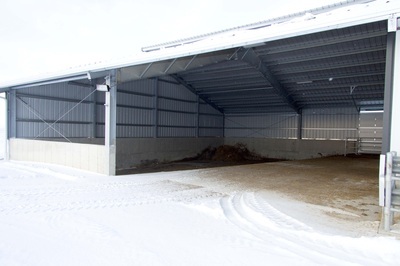 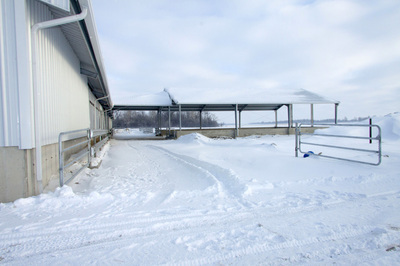 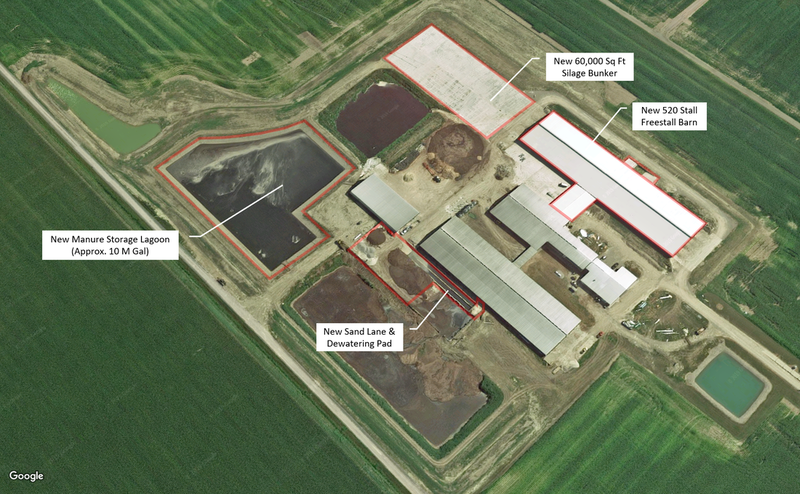 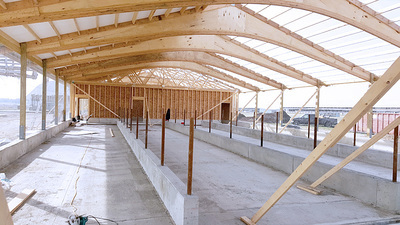 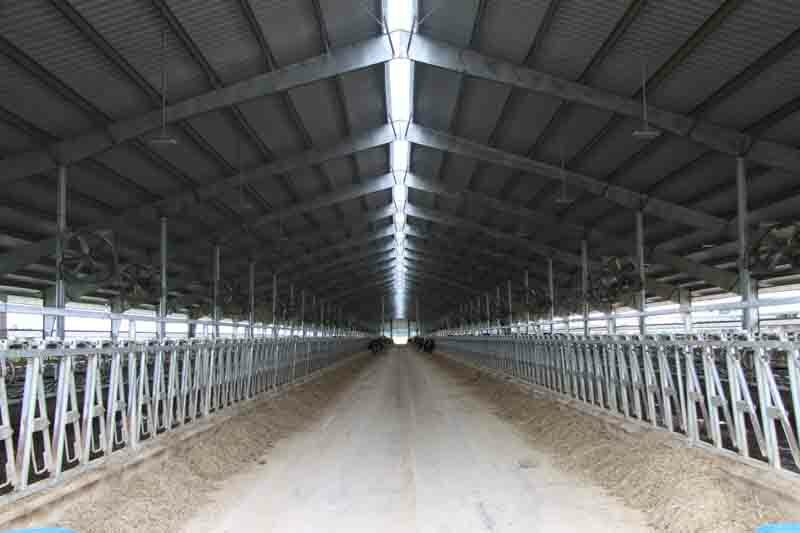 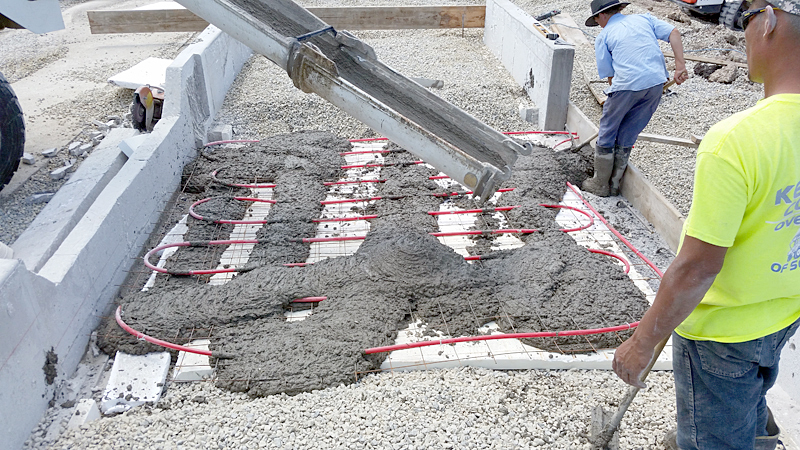 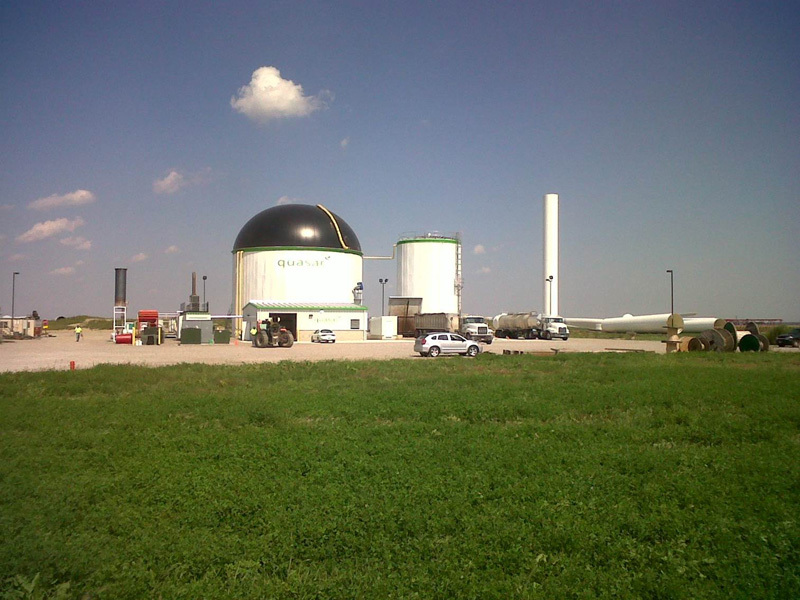 Attached to the main building is an additional 4,800sqft of roof that covers a manure pit. 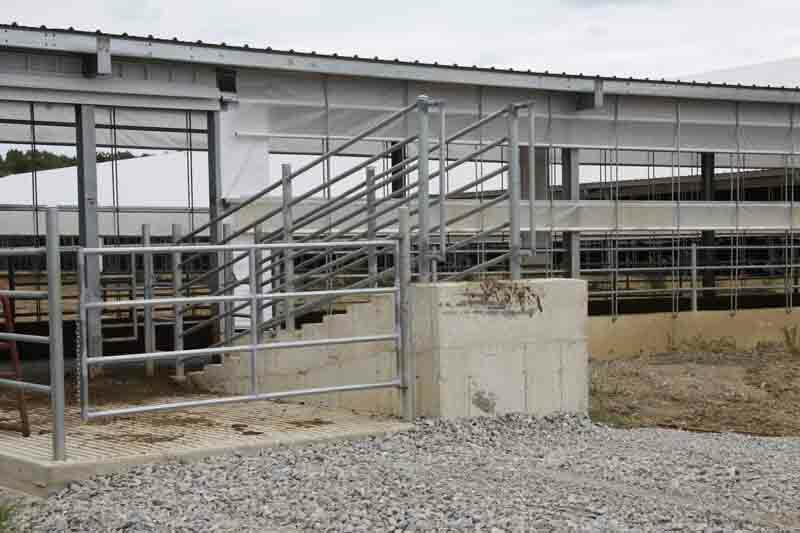 Completely galvanized steel building designed to house young heifers. 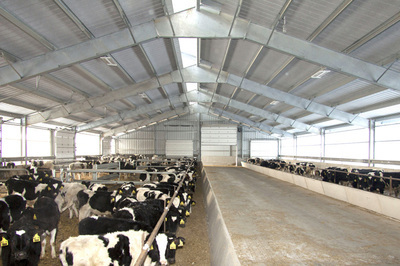 The roof is a 26ga steel with a dripstop barrier that is adhered to the back of the sheeting. 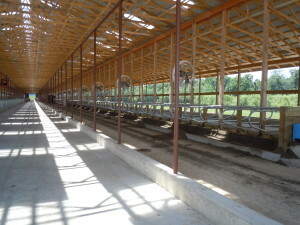 The barn has over 17,000 square feet of housing and has a 65,000 gal covered manure storage pit. 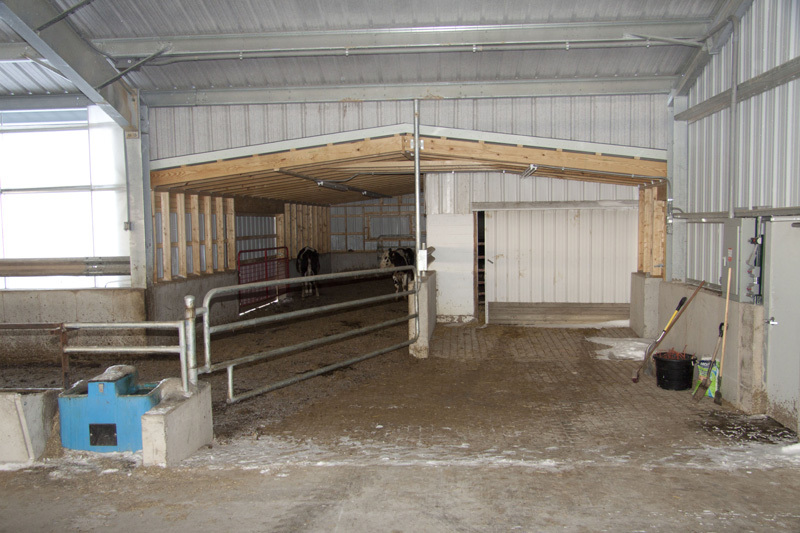 The barn was designed to attach to an existing bank barn so that the cow traffic can flow smoothly. 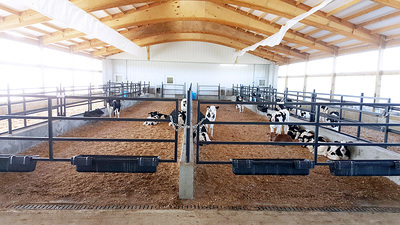 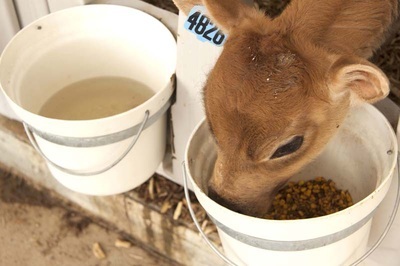 Wagler Barns, Raise Healthy Calves. 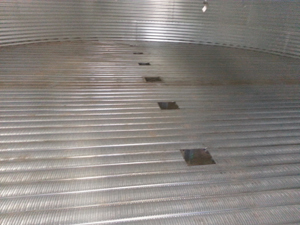 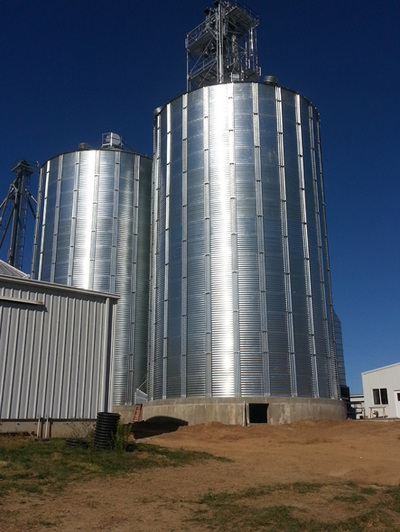 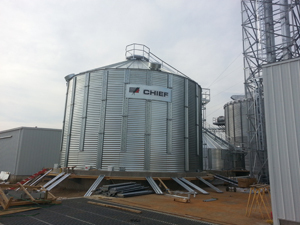 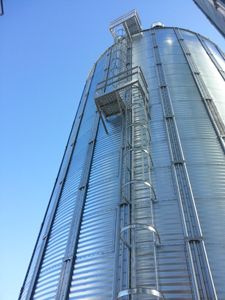 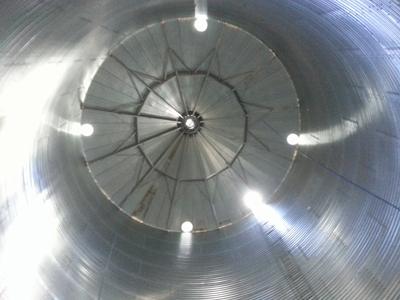 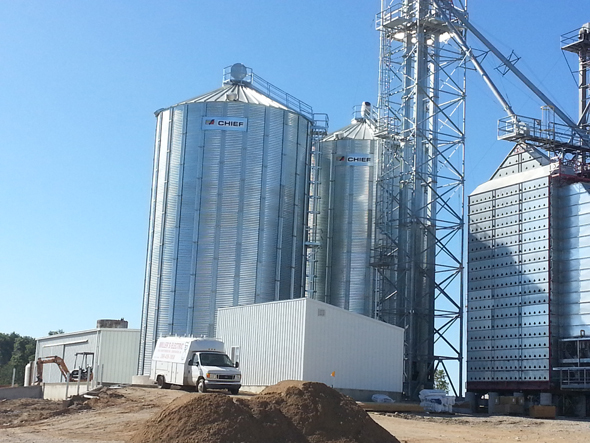 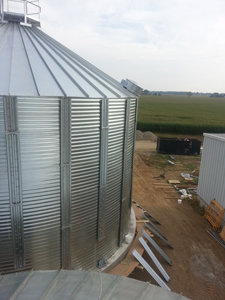 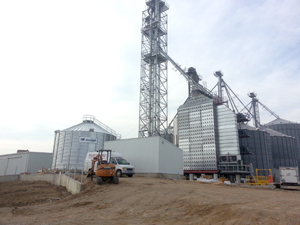 Construction of two new grain bins along with an electrical building for farmer to handle this years crop. New construction of a 616 cow freestall barn. 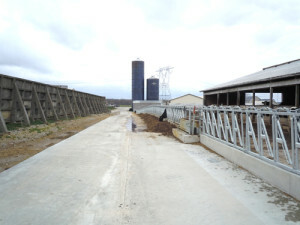 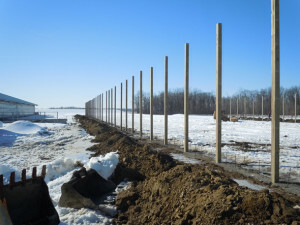 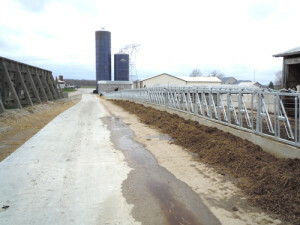 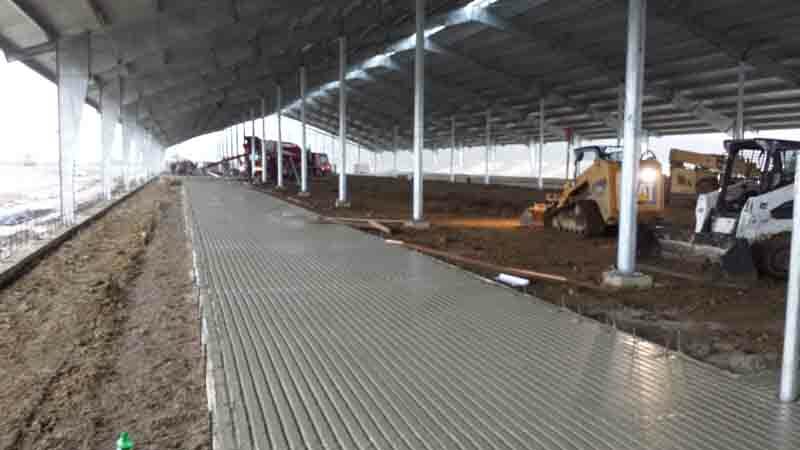 Wagler & Associates installed a new feed lane area at Deardorff Farms. 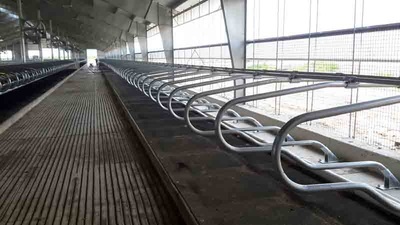 Scope of work included the installation of new headlocks, drinkers and exterior concrete work.